When it comes to high school sprinting, few can match the credentials of Brian FitzGerald. The 2016 USA Today national track coach of the year has led athletes to California state titles in each of the past four decades, including athletes named Athlete of the Year by Track and Field News. When coaching beginners it is important to know the basics. It is also important to know the myths that people wrongly pass off as the basics. 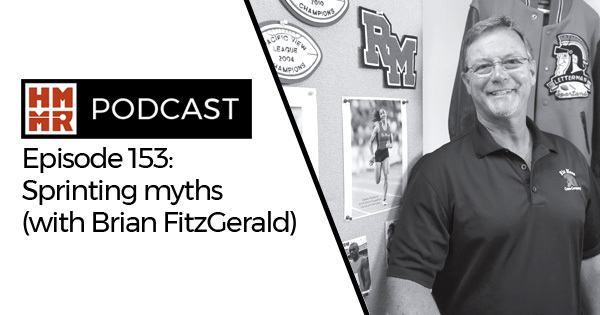 On this episode FitzGerald dispels some of those myths and explains his five-step approach to teaching sprint mechanics. Nick Garcia and Martin Bingisser of HMMR Media discuss the top topics in strength and conditioning and athletic development.